I’m looking at the diamondhead vrs t 10.25" handguard but I’ve got a 10.5" barrel. 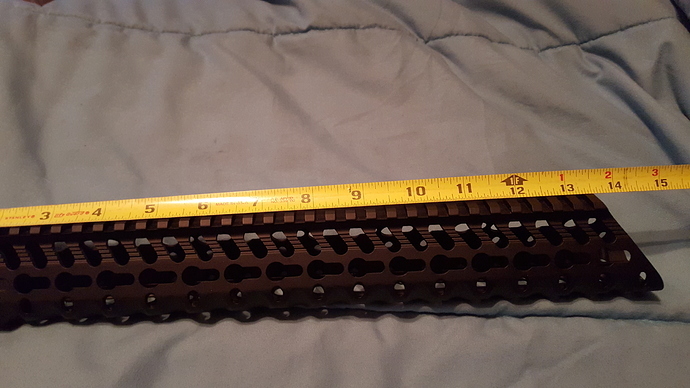 Anyone have this handguard and is the 10.25" measurement the top section or the bottom. I’m worried it might be too long for the flash hider. Length of the rail on top, I have the 13.5"
I think I’ll be better off with a shorter rail. My barrel is 10.5" and I’m afraid my suppressor won’t mount up to it correctly. What suppressor will you be using? I would think it would look great unless you’ve got a fat suppressor. It’s the yhm phantom qd. I’d just be worried that the handguard for stick out too far for the suppress to mount up correctly. What is the ID of the handguard and OD of the suppressor? If the ID of the handguard is large enough to just lap over the suppressor you’re good and it would still actually look pretty cool. How much does he diamond head weigh? I really like the look. By doing a simple google search I was able to find it on the Diamondhead website. It says that the ID of the handguard is about 1.36". This obviously won’t work so it looks like you need another option. I ended up just getting a 8.5" version. It’ll be plenty for me. I just thought it would look amazing with the 10.25" on a 10.5" barrel. 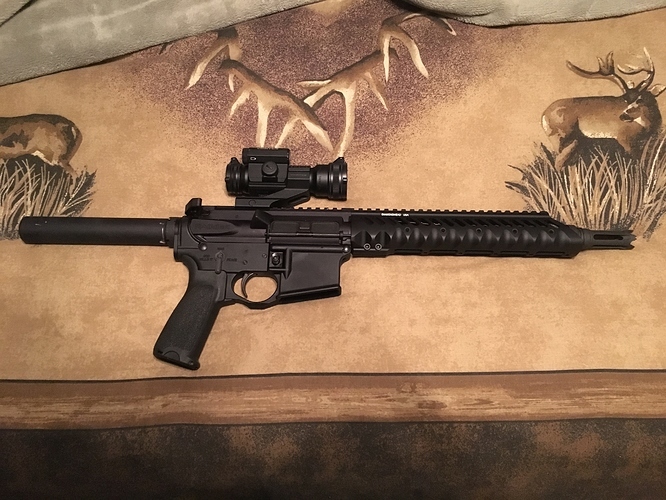 Decided on the 8.75" handguard for my 10.5" barrel and I’m literally an 1/8" away from being perfect. I figured get a crush washer and I’ll be golden. Excited to take her for a spin this weekend. It is. I picked em up off amazon for 179& no tax no shipping. I liked it because I can go green dot which is easier on my eyes.